As some people see the world through rose colored glasses, Dylan Lauren sees the world through a rainbow of Technicolor shades. Born into fashion royalty, this billionaire heiress possesses the same kind of entrepreneurial spirit and creativity inherent in the Lauren clan, and though she’s a successful business woman she’s still very much a kid at heart. Here we spoke to Dylan about her celebrating her company’s 15th birthday, obsession with rabbits, and philanthropic endeavors in her colorful corporate headquarters adorned with her original artwork created from candy. DL: I collect rabbits, it’s my favorite animal. My Chicago store is like my rabbit museum with over 3000 of my rabbit tchotchkes which are showcased by our mascot, Chocolate the Bunny. Chocolate and Vanilla Bunny are based on my childhood bunnies that I used to feed Oreo cookies. Other rabbit coincidences were that my twins were born during Easter and I was married during the year of the Rabbit. HL: What do you think is your biggest key to success? DL: I think part of it is that I’m my biggest customer so I have a sense of what my customer likes. I’m a candy freak and I love colors. We also sell happiness, our mission is to awaken the inner child and creative spirit in everyone and we do that through the bright colors and nostalgia which makes people happy just thinking of their childhood and sweets. It’s also a unique destination in cities where it’s fun to go to a fantasyland and escape from the concrete jungle. 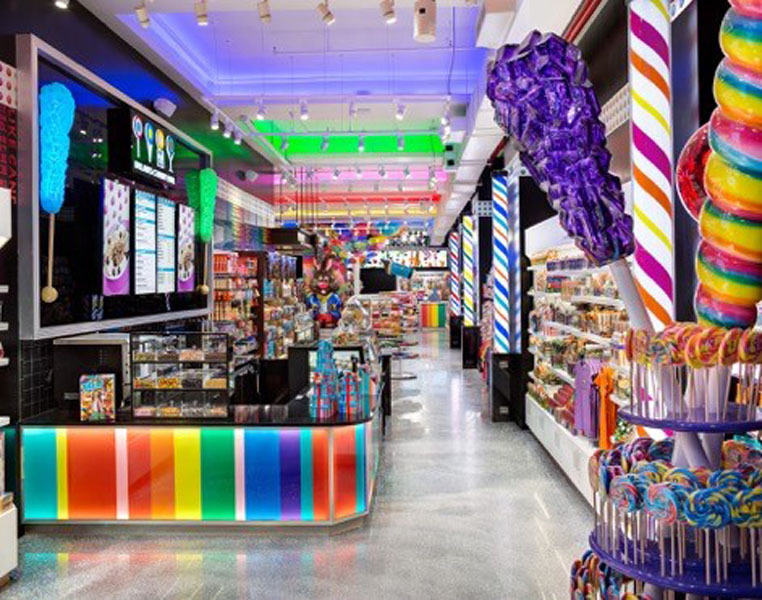 To me my candy bar is more like a museum of candy or a retail experiential store. When people come in they spend a good 45 minutes looking at the fixtures and the displays and products. Because I love pop art, we’ve tried to merge fashion and art in there. From Valentine’s Day to Easter and the Oscars and Mother’s Day to camp and summer, we’re constantly changing it up. We’ve opened a lot of stores and pop up shops without promoting a lot and are rolling out more now because real estate is now coming up that I’ve been looking at for years. I’ve always wanted to expand cautiously and not open everywhere. 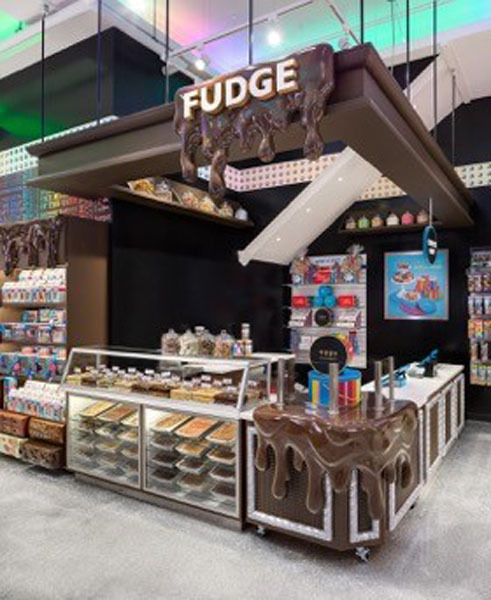 We started doing shop in shops and licensing so we’re in JFK and Dallas which has been easier to roll out. HL: For international locations, how do you localize your selections? DL: We’re looking at Dubai, London & Japan now but we are looking for partners to help us customize our selections because there are so many food laws and tastes. The one thing is that every country loves candy and sweets and has a passion for it so it’s kind of a universal thing. HL: What is your favorite aspect of the business? DL: I’m really involved in the creative side. I love designing the products and packaging and creating the various lines. There’s lifestyle, food, desert products and the café and parties. It’s always different, I would get really bored if I was doing the same thing every day. Our flagships have many different departments, like nostalgia, fudge, and novelty and within that there is a lot of change which is fun. HL: Are you involved in the candy selection? DL: I have the veto power. I am very involved in the private label products but there are staples such as movie trends that may not be my thing but it sells well, so I like it. We have a lot of candy now from England and Japan, and in our Miami store a lot of candy comes from Brazil and Russia. Israel has a lot of cool packaging and some people buy the candy just to look at it. I love Japanese packaging but I don’t really like the product. I want to bring in Tim Tams from Australia. HL: What’s your favorite holiday? DL: Easter and I’m excited about it. We usually do a lot of pastels but this year it’s a lot of saturated vibrant colors and damask prints. HL: Tell me about your other passions. DL: I just held a Pre Valentines singles mixer at our Union Square store. Matchmaking is my other passion. We were launching our collection of our signature gold chocolate bars which is a really high end line with sea salt or strawberries and champagne, molten lava cake and pairing it with wine. HL: How many couples have you matched? DL: I would say maybe four from the party. In life I’ve introduced 3 marriages. 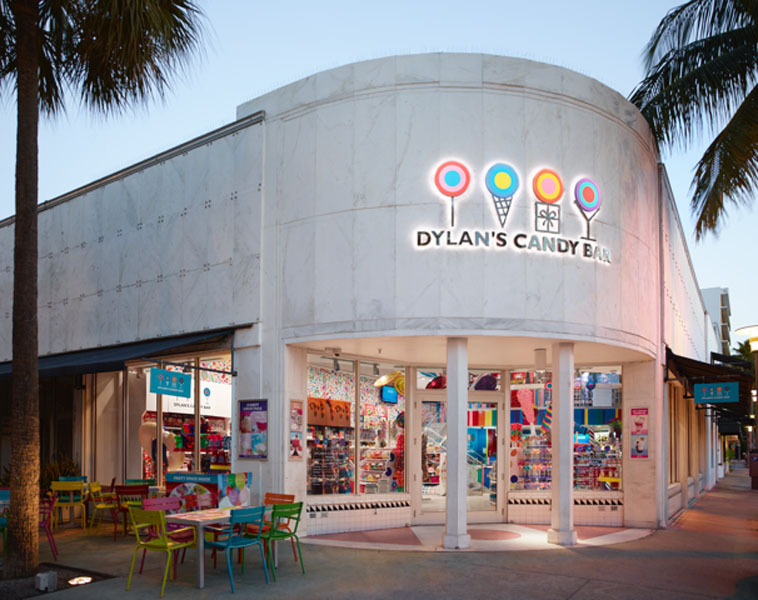 HL: Tell us about Dylan’s Candy BarN. DL: We launched the foundation this year and my other dream is to open a farm or shelter to foster animals to be adopted. What we did before establishing this foundation is host events in our stores with animals from various shelters that were available for adoption with proceeds going to the shelter. 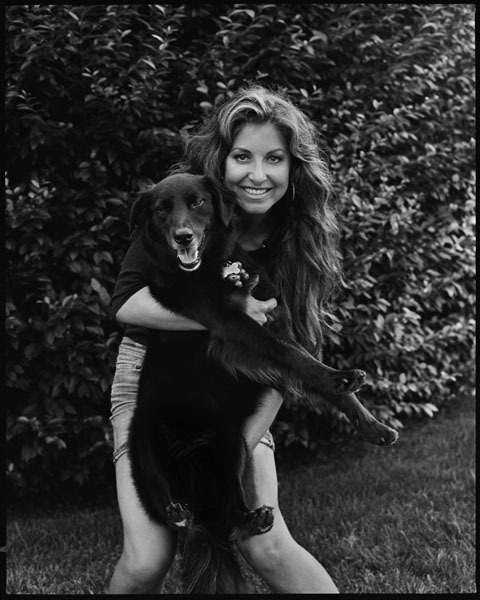 We aimed to get animals into homes and have been very successful in getting adoptions. We’re also selling a line of pet accessories and animal treats, and animal shaped gummies where a percentage of proceeds from those sales goes to animal charities. The dog treats we do sell look like frosted cupcakes or human treats that are cute and not just your boring biscuit. Our BarN instagram showcases available pets or our employees who are fostering rescue animals. Our next big event will be in Chicago with PAWS and in NYC we are doing a pet themed party in our Union Square store with the animals outside for adoption. That’s the great thing about having locations in different cities is partnering with all of these organizations. It’s also about raising awareness that the shelters have quality animals. Jersey, my dog is from Puerto Rico’s Dead Dog Beach and was fostered in the MPSPCA in New Jersey. I named her that not only because I got her from New Jersey but she’s sporty like a sports jersey and elegant like the jersey fabric. HL: Is your home colorful? DL: I love color but I don’t want to live in a colorful environment, it would make me crazy. My house has a lot of white with blue accents as turquoise is my favorite color. This office has a lot of color but it’s so colorful all day I need a break from it. I have things from my dad’s home collection but I have my own spin on it and my husband has his things too. HL: What color is your car? DL: Yellow Defender, named Sunny and Jersey loves it. HL: Though you eat candy all day, what is your fitness regime? DL: I work out with a trainer at Punch, Flywheel or Push Lab Fitness. I also love the stairmill and I run. In the summer I do Jimmy Minardi’s Beach Boot Camp on the beach. I love to work out, hike and bike but it’s hard in the city. I put in an hour or two every day. HL: What was your dad’s inspiration for you? DL: The fact that he was an entrepreneur and built an empire from one item- a tie to a lifestyle brand was very inspiring. Also he is an artist with a real meticulous eye for detail and watching him design and follow his gut and seeing him interact with his team as a people person is what inspired me. My stores are like the ultra color theme from my dad’s Polo sport world and seeing all the color swatches inspired me. But I don’t have the navy blues so my company has its own identity. HL: Is your dad a candy fan? DL: He loves his dark chocolate covered pretzels and toffee bars. My mom likes chocolate too. I’m the only one in my family that likes gummies, chewy stuff and gumballs. HL: As you were inspired by Willy Wonka, which film did you prefer? And what are your favorite movies? DL: I don’t know why they tried to replicate the first one, it was perfect as it was. I like seeing movies for inspiration, like Tim Burton’s Alice in Wonderland, Wizard of Oz, Toys, anything that is bright colored, animated and Disney. I also like romantic comedies like The Wedding Crashers, About Last Night, and all of the John Hughes movies are my favorites, there aren’t enough of them these days. We also show movies in our Third Avenue store and we do partnerships with movies. We did something with Mean Girls and we’re doing a partnership with Wonder Woman and had a celebration for the anniversary of Wizard of Oz. HL: What fashion shows are you going to? DL: My cousin Greg is a designer so I’m going to that one, maybe Alice & Olivia, and of course my dad’s show. HL: What are your favorite places in NYC? DL: I love Central Park as I have to be in nature. I like Fifth Avenue by the museums which feels like you are in Europe, and also walking in West Village amongst the charming boutiques. I just went to Red Farm for dinner. I love sushi and frequent my neighborhood place, Shabu Shabu, Blue Ribbon, and Nobu. Or going to JG Mellon’s because of its cozy pub atmosphere, and EJs for comfort food, and of course Polo Bar. HL: Where are you traveling next? DL: I’m going to Florida to see my store and we are doing a collaboration with Hanky Panky which is also sold at Neimans and Nordstroms. In March I’m going to Japan to look for a location there and was just in Dubai. HL: What is your next project? DL: I’m going to be opening a mini store in T59 in the Columbus subway station. I definitely want to start opening more locations, but I want to open more flagships, but there aren’t a lot of states with walking traffic, which we need.